The spring home-buying season is on! If you’re on the buying end of the season, you know that means you could be facing a lot of competition for the home you want to purchase. But if you’re on the selling end of the market right now, you should know that you’ll also be facing a lot of competition against other sellers. While your home’s features certainly can give you an edge, you can do a little more to help your home appeal to buyers than you might have thought – in fact, you can appeal to buyers by the way you present yourself as a seller. When you’re selling your home – in any market – you do not need to cater to every buyer’s requests. However, you also do not need to make the home-buying process harder than it already can be for prospective buyers. 1. Price your home correctly. 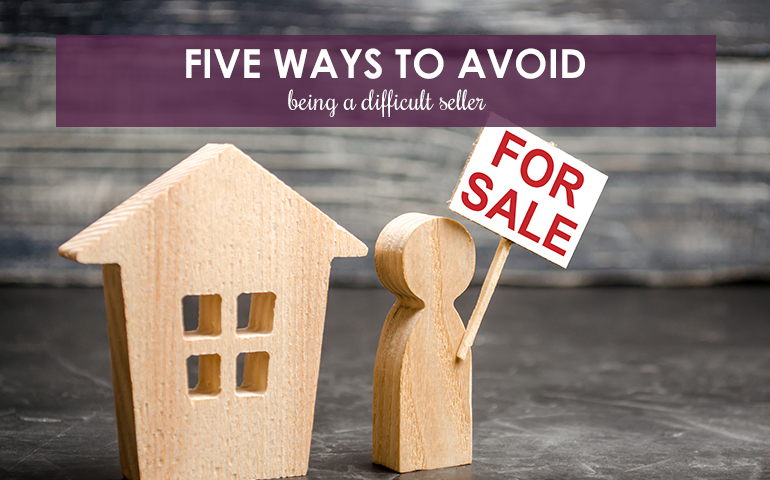 This can be one of the most difficult parts of the home-selling process. Why? Of course, every seller wants to get the most they can for their home. But setting the wrong price for your home can do a lot to deter buyers from your home from the start. Give buyers the right idea about you and your home by setting a fair price. Have your real estate agent complete a comparative market analysis of similar homes that have recently sold in your area. This will give you an accurate idea of how much your home could sell for – plus, you’ll be confident you’re setting the right price for buyers in your area. 2. Give off a great first impression. From listing photos to your curb appeal, the old saying “you never get a second chance to make a first impression” could not ring truer when it comes to real estate. Don’t make buyers guess at the condition of your home. Choose well-lit photos that give an accurate impression of your home’s features. When it comes to your curb appeal, keep your lawn and walkways neatly manicured so that buyers see you as a serious seller from the start. 3. Disclose everything about your home. In addition to giving buyers a great first impression of your home, you want to make sure to keep those high standards throughout the duration of your sale. Be honest about your home’s features, quirks, and any safety concerns. Have an inspector review your home before a potential buyer brings someone in. This will help you make sure you’re presenting your home in the most honest way for buyers. Don’t let a buyer’s inspector uncover something you are unaware of. You’ll appear much more trustworthy by simply being honest about your home’s condition. 4. Send pets away during showings. Our pets are some of our most beloved family members. But when you’re selling your home, you must remember that not every person feels this way about animals – especially when the furry family members are not their own. Instead of making every buyer meet your Fido or feline family members, crate your pets or have them spend some time with family members or friends while your house is on the market. The last thing you would want is for a potential buyer to be scared away from your home by your pets. 5. Don’t make buyers view your home on your schedule only. Finally, when you’re selling your home, remember that you need to be flexible for showings and open houses. If a buyer wants to see your home during an evening when you’re usually home and they give you plenty of time to prepare, let them see your home. Don’t push potential buyers away by making it hard for them to view your home. Instead, remain flexible when it comes to scheduling showings for your home. Are you preparing for a home sale and you want to make sure that you and your home are available to buyers? Let us help! Contact us today for expert, trustworthy advice on how to sell your home.